Maria was upgraded to a Category 1 hurricane by the National Hurricane Center at 9 pm UTC. The governments of Barbados and St Lucia earlier warned citizens that tropical storm Maria could hit in the form of a hurricane within 36 hours. The latest advisory includes additional warnings for parts of the Leeward Islands. A hurricane warning is now in effect for Guadeloupe, Dominica, St. Kitts, Nevis, and Montserrat. The advisory states that Hurricane Maria is around 225 kilometers northeast of Barbados and 445 kilometers southeast of Dominica. Maximum sustained winds of 120 kilometers per hour have been recorded. 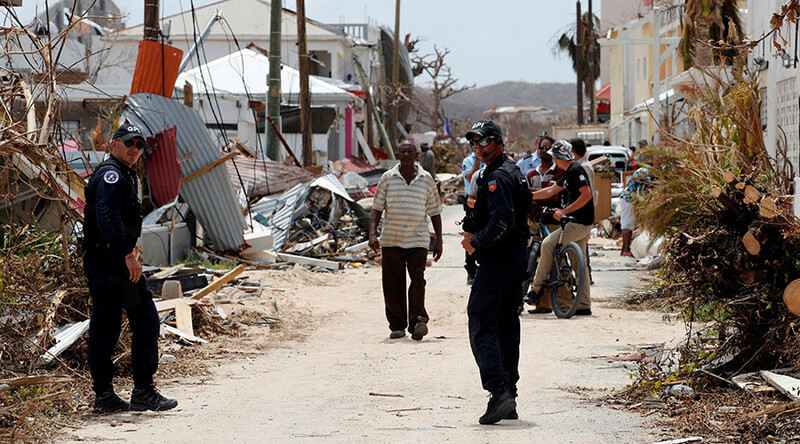 Scores of Caribbean islands such as St Martin and Barbuda are already reeling from the effects of the Category Five hurricane Irma. And US weather experts have warned that the two locations are among 12 islands potentially in the path of hurricane Maria. The US National Hurricane Center stated that people in the Lesser Antilles, including Puerto Rico as well as the British and US Virgin Islands, should monitor the development of the storm system as it moves northwest. It said in its advisory at 3 pm UTC that tropical storm conditions were expected in the identified areas within 36 hours. It later added at 6 pm UTC that Maria is now 655 kilometers southeast of the Leeward islands and has sustained winds of 100 kilometers per hour. According to the Barbados Meteorological Service, the center of the storm will pass around 120 miles north of the island with winds expected to reach 100 kilometers per hour. “As the system draws closer to the region, feeder bands will generate pockets of moderate to heavy showers and thunderstorms, some of which have already started to spread across the island. Rainfall accumulations of 3 to 5 inches are likely,” the weather office statement read. “Due to the already saturated nature of the soil, a flood warning may be required at short notice. Thus, residents are urged to be on the alert and take all necessary precautions,” it added. Barbados Meteorological Services has also issued a flood warning which is in effect from noon Sunday until 6 am Monday. 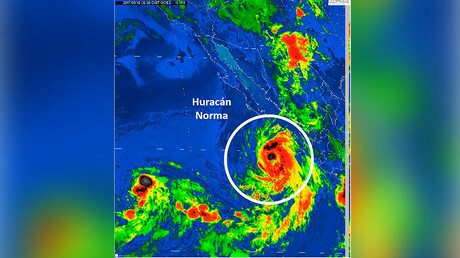 The storm also prompted the French government to issue a hurricane warning for its Caribbean territory of Guadeloupe and a tropical storm warning for Martinique. Storm Lee is also brewing above the Atlantic Ocean. On Sunday, the US National Hurricane Center said it expected the bad weather created by the depression to subside almost entirely by Tuesday.